Imagine entertaining your friends and actually enjoying the party with them! 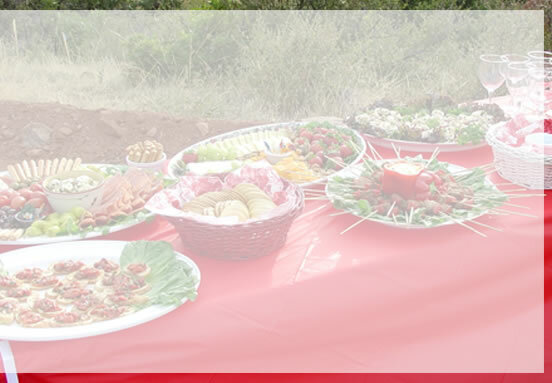 Whether a big celebration with appetizers, an intimate dinner get-together or a casual gathering for brunch, Mangia! is your answer to a stress free party. This is what I love to do and why I started my business. With an abundance of menu choices, I will create the perfect food for your event (with a theme if desired). Birthdays, showers, anniversaries, open house, business receptions, retirement, holidays, all are perfect occasions for a party. Of course, there’s always the “no occasion party”! After creating the menu, I will shop for all the fresh ingredients the day of and arrive with my own equipment to create the fete of your dreams. Now, what’s stopping you? Let’s party!